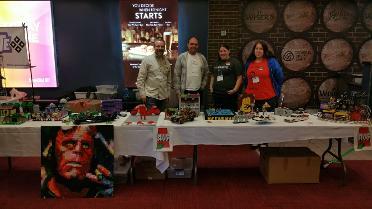 This years Brickery saw its largest turn-out by talented builders from SLUG! 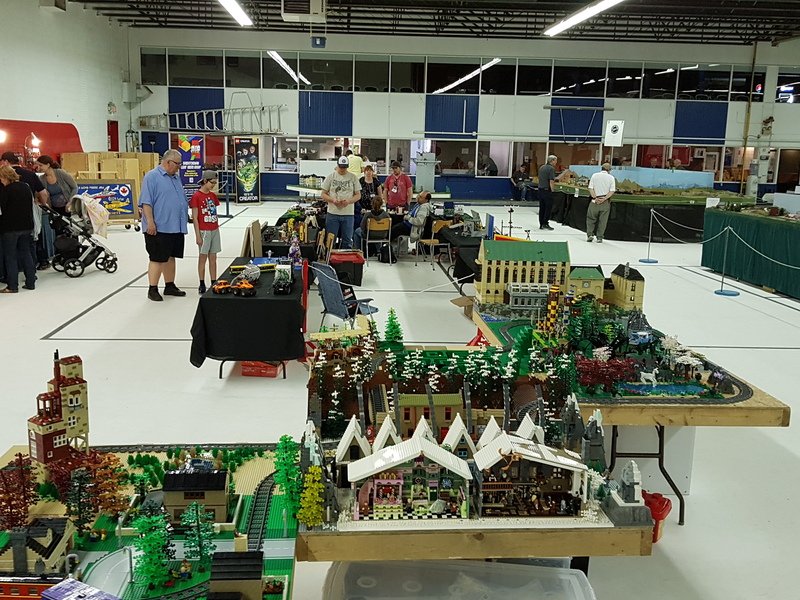 Members from around the province showcased numerous builds, small and large, for Estevan-area visitors. 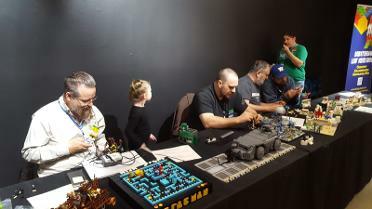 Great builds from Ray J, Jason M, Nicole, Colby, Jeff, Melissa, Adam, Caleb, Waylon, Lorelie, Jillian, Christopher, Wes, Ray M, Jenn, Cooper and Jason B were on hand. SLUG returned to Ignite! at the Saskatchewan Science Center! We had a display full of Pop Culture creations, Microscale builds and a working Great Ball Contraption! Melissa, Lorelie, Jason M., Tim, Jeff, Colby and Trevor were on hand to display to the crowd. Anifest exploded on the scene in it's second year and we were happy to take part in it again! Our display of MOCs from Ray, Trevor, Lorelie, Colby, Melissa, Jason and Jeff brought something new and different to the Anime-loving crowds! Our first showcase in Esterhazy was well received! With a handful of creations by Tim, Kelly, Jason and Adam were displayed at this one-day event. There was a great deal of nerdy creations on display at the Expo this year! 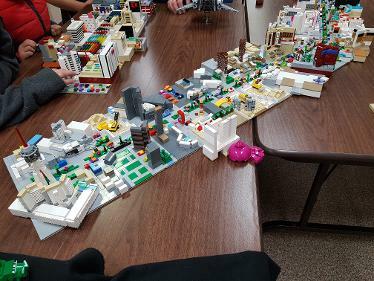 Builds by Jim, Jayson, Adam, Caleb, Trent, Kylee, Jason M., Melissa, Jason B., Ray J., Lorelie, Jeff and Blake were inspired by TV shows, video games, movies and more! 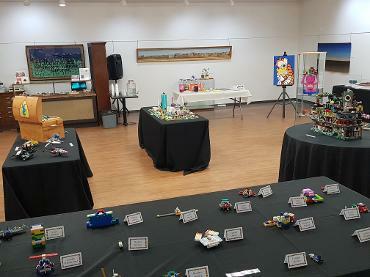 SLUG was invited to Shaunavon to run a series of workshops for young builders, as well as display some work at an evening showcase. Adam hit the road to spend time with these aspiring creators. The seventh year of our annual showcase saw 45 participants come from around the province, Alberta and Manitoba! We displayed hundreds of incredible creations throughout the show. We were at the Railfest in Regina once again with a gigantic display of trains and other creations! Our Harry Potter layout by Kylee, Nicole, Tom, Andre, Caleb, Ray J., Adam, Jim, Trent, Trevor and Lorelie was on display, as well or our WWII display by Scott, Jeff and Trent. Builds by Tim, Jim, Jason B., Ray M., Adam, Jenn, Jason M., Wes, Kylee, Melissa and Ray J. were also featured! Our third appearance at Regina's premiere car show saw tables full of creations by Rick, Wes, David, Jeff, Caleb, Lorlie, Ray, Trent and Waylon. We had a small showing at the Hobby Show this year, lead by Jayson with some additional creations by Adam. 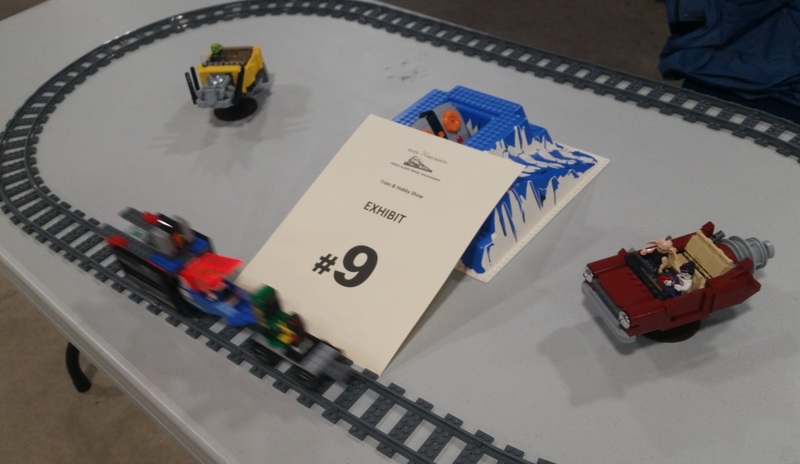 We returned to the annual Train Show in Moose Jaw through some pretty crummy weather. Due to this, we were without a number of members and their excellent builds. Regardless, we displayed our WWII display with areas by Jeff and Scott, as well as our Harry Potter display by Lorelie, Adam, Ray M., Trevor, Ray J., Karen, Andre, Caleb, Jim and Kylee. There were numerous other creations on display, built by Adele, Ray J., Caleb and Adam. We showcased an incredible display at this year's train show with a massive Harry Potter display by Kylee, Lorelie, Tom, Andre, Adam, Caleb, Jim, Trevor, Ray M., Ray J., Nicole, Karen and Trent. Also on display was a Flak Tower display by Jeff, as well as a number of other creations by Jayson, Rick and others.